Buckle up dear reader, for the days of SXSW insanity '09 is nigh. With 500 bands playing...per day there is literally too much to see. My advice is to do some planning, but give yourself some wiggle room. SX is all about discovering the next big thing, what I like to do is talk to people at the parties and ask them who they have seen and who they're excited to see. That's how I first heard about Bon Iver last year. 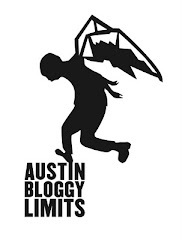 First of all let me just say thank you SO much to Show List Austin for compiling and posting show info for the city of Austin year-round. Specifically this time of year that site is a God-send. The info below was just copied and pasted using the customizable day planner. * Affliction/Myspace Records/Ticketweb/Spaceland's SXSW Throw Down!